October's Animefringe has plenty of manga reviews... along with a review of the awesome anime/CG series Initial D, and a review of J-Pop princess Namie Amuro's heartfelt single, Never End. This month, Animefringe is squeezable fun... for everyone! Crack the book open, take a big whiff of the paper. The most intoxicating smell ever concocted fills the air and the next thing you know, you're smack-dab in the middle of the Gundam Universe with an epic story unfolding before your eyes. 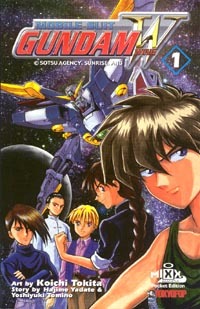 Witness Heero tell Relena he'll kill her. Be shocked as the Wing Gundam self-destructs. And most of all, experience, in black and white, what all the fuss is all about. 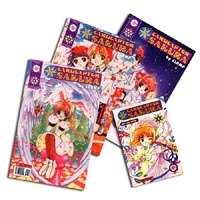 Sakura Kinomoto was just an ordinary fourth grader who enjoyed the simple things in life until she stumbled upon a legendary book called "The Clow". From there, Sakura's life changed greatly, as she was named the "Cardcaptor". Can Sakura save from the world from the disasters brought by the mysterious Clow Cards? Or will the world as we know it fall at the mercy of evil and mischief? The three girls from another world thought they had done all they could for Cephiro. But when they returned to Japan, all they could think about was their actions and the people they left behind. 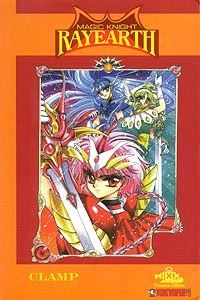 Magic Knight Rayearth's second storyline follows the consequences of fulfilling Princess Emeraude's wish and the new terrors that are befalling the magical land. Some say there is a reason and a result to everything that happens around us... so will our foolishness of disturbing the rules of nature one day become the very reason for our own extinction? 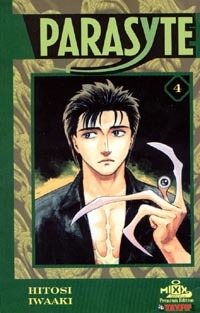 Let us see what will happen when nature fights back through the eyes of manga master Iwaaki Hitoshi in his classic horror series "Parasyte". When Takumi was first forced into delivering tofu for his dad's store every day five years ago, he never dreamed the skill he'll master during his daily delivery trip would one day turn him into the fastest in street racing along the east coast of Japan. Starting with his first downhill race, all are captured in this fascinating anime series with stunning 3D computer-rendered graphics. This is definitly a series all you race fans won't want to miss. 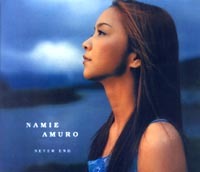 After the far-fetched success of her album "Genius 2000", Namie Amuro comes back with yet another smash hit. Since the unexpected and tragic death of her mother, Amuro continues on with her music -- now, preparing for a possible new album. Amuro's first single since last year, "Never End" takes us on another journey of Tetsuya Komuro's masterful works.